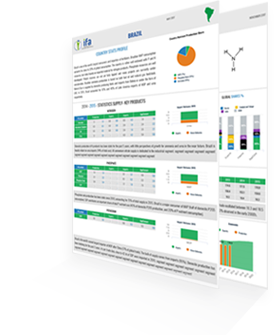 Welcome to IFA’s one-stop-shop for the world’s most comprehensive statistical information on fertilizer & raw materials supply and fertilizer consumption! Productive and sustainable agriculture systems contribute to a world free of hunger and malnutrition. IFA provides a framework for exchanges and collaboration among its members and a structure for agreeing common positions and joint actions. IFA promotes the efficient and responsible production, distribution, and use of plant nutrients.